On the subject of creating biofuels and biomass, the department of energy told parliamentarians that the main objective of any such exercise, if it was undertaken in the agriculture industry, would be to create jobs. However, such a move towards the use of biomass would not take place if national food or water security was jeapordised in any way. This answer was given to the portfolio committee on energy by Muzi Mkhize, chief director hydrocarbons, department of energy (DOE), when briefing parliamentarians on DOE’s current strategy towards biofuels. He said that in the South African context, a specific requirement of the biofuels strategy was to create a link between first and second economies and the focus was not only on jobs but specifically on creating employment in under-developed areas. Bio-fuels, he said, like most renewables, required incentives in order to be cost-competitive against conventional fuels, the upside of such a direction being the saving in balance of payments, energy supply security and economic growth factors that were more stable that the volatile traditional oil market. 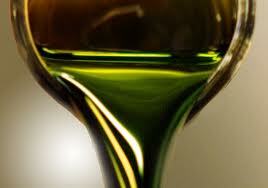 He referred to 2006 estimates, where a targeted 2% biofuels scenario was estimated to create about 25,000 jobs. With the IPP third round completed, Mkhize said biofuels would contribute to the national renewable energy policy, the director general, DOE, having already advised that 93 independent power producers (IPPs) had applied for licences in the third round of requests for submissions. Thus biomass, he said, together with IPPs were contributing greatly towards targets that South Africa had in the journey to reduce greenhouse gas emissions. As far as biofuels manufacturing facilities were concerned, Mkhize listed eight locations where bioethanol or biodiesel had or were being licensed. 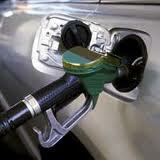 He said that biodiesel would fall within the fuel tax net and manufacturers would receive a rebate of 50%. Bioethanol would not, however. As was the case with all renewable energy projects, a 50:30:20 depreciation allowance on capital investment over three years would apply but DOE had started discussions which were underway to improve incentives as this was not sufficient to attract investors, it was felt. “Infant industry” incentives over a twenty-year benchmark period were being looked at, he said, with an initial incentive of 3.5c per litre to 4c, to be recovered through a levy to be included in the national monthly price determinations. It was pointed out by parliamentarians that about 229 million litres of fuel were sold annually for about R9,2bn and if all players in the fuel industry joined the process as required, there would be an excess with about 4-6% of biofuels produced over the national call for 2%. Who would take up the excess, they asked. Mkhize was also asked what agro studies had been done and how were farmers responding to a possible call for biomass crops. Also, they asked, if there was drought or some similar disaster, what would happen to the fuel industry in the reverse case of a shortage of biomass. Mkhize said there was a general agreement in place only on agricultural biomass and this was “only in the form of mindset until pricing and subsidy issues were finalised, so accordingly the question of national quantities in relation to fuel company needs did not arise”. However, he confirmed that the fuel industry would not be allowed to suffer from a shortage of biomass delivered. In answer to more questions, Mkhize said a licence to produce biomass would not disallow a farmer from switching crops, say from soya to maize. But, he added, all this was total speculation until “national treasury came up with the answers on subsidies”. 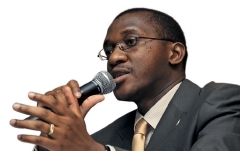 When MPs complained that the picture given by DOE “was no more than a snapshot of where we were on biofuels exactly one year ago”, Mkhize said he was trying to show the milestones that had been reached in the enormously difficult stage that the fuels industry had reached with regard to the entry of biofuels, which was a strategic issue. Mkhize promised his department would deliver shortly on promises to deliver DOE’s plan for gas expansion but this was not part of the biofuels or biomass study. All such matters were intertwined in terms of the integrated resources plan with the eventual integrated energy plan for the whole country. On new entrants to biomass to fuel production, Mkhize responded to questions that it had been shown that the breakeven point for any biomass plant was a constantly changing factor over a long period and it was difficult to establish at what point a subsidy of, say, 2% would assist. He said breakeven studies showed from a 2% profit, moving down to 5% loss for a long while, and then eventually moving up to 10% profit had been the standard established and banks did not like that kind of venture. Models he said were difficult to establish that were both profitable in either the short or long term. There had been great disappointment when oilcake made from soya had proven too costly for biodiesel and it had been found that better recoveries could made through the food industry. This had proved a setback, Mkhize said. In answer to queries on sugar cane possibilities for biomass, as practised in Brazil and possible land shortages in South Africa, Mkhize said that the SA Sugar Assoc had said that land was available but that sugar cane was more likely to be linked to co-generation of electricity energy. Brazil, he said, had a vast subsidized lower income biomass agricultural industry but was producing on a large scale for biodiesel, not bioethanol as would be required in SA. However, he said that the country at the moment could not ignore the huge potential for job creation that could be brought about by such a new industry and the present lack of agricultural knowledge on the subject would eventually be substituted by experience gained by the new entrants as they established themselves. In answer to questions on where blending would take place and “whether this was upstream or downstream in the fuel industry”, meaning at refineries or at depots it was assumed, Mkhize said a lot would depend on where the crop was grown; the wish to support crops grown in rural areas; sustainable projects that had been developed; and water availability. It was desirable that issues regarding human health have a proper alignment with the fuel industry, said Muzi Mkhize, chief director-hydrocarbons, department of energy (DOE), when he addressed the portfolio committee on energy on the cleaner fuels programme at present being conducted in South Africa. But in giving out incentives for industry to invest in new plant, government had to ensure that it got “bucks for the bang”. Mkhize said that in regard to the original regulations on emissions, fuel specifications and standards following the prohibition of lead additives, the DOE programme known as CF1 “did not go very well”. DOE’s more recent plan, CF2, has been to follow EU developments and the “EU5 standard specifications” in the area of cleaner fuels, and then to align such with SADC countries. He would not be drawn on specifics asked by MPs on issues regarding certain refineries having different suppliers and differing oil qualities. Also he did not elaborate on progress with SADC countries on the issue. Again, octane structures established in terms of the CF2 programme for both coastal and inland regions of South Africa 2006, bench-marked in terms international fuel specifications, were delayed, Mkhize said, primarily whilst DOE digested lessons learnt from CF1 and the pressing need to delay things for there to be uninterrupted supplies during World Cup. As part of the “road map”, Mkhize noted that DOE continues to engage National Treasury in terms of legislation to finalise the exact regulations needed for new fuel specifications but this was “in the knowledge that the refineries would have to spend approximately R40 billion to bring their plants up to speed”. As such, this involved the issue of incentives to do so, he added. Also, solutions on concerns raised by oil companies during workshops and debate regarding such cost recovery issues and other incentive matters were now being tackled as a priority, Mkhize said, bearing in mind that operational structures on fuel specifications were now urgent bearing in mind that CF2 had to also cover the investment period from the present to the final operational date for refineries in 2017. Mkhize said that in DOE’s view, “the way forward had to include top-down and bottom-up approaches” but if incentives were to be deployed, which was a decision yet to be made, then how to get value for money for the incentives offered was the issue facing government.